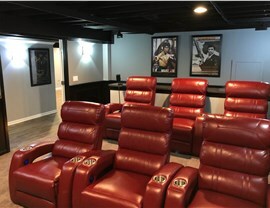 Catch the ballgame, watch a movie, or play video games in a custom basement home theater. Watching movies is a favorite pastime of many families, but most are confined to the living room when watching their favorite flicks. 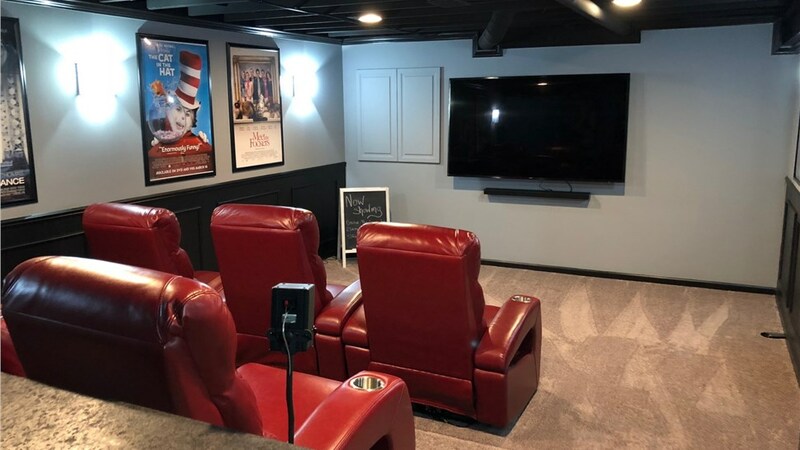 Why not put your basement to good use by creating an immersive movie experience where you can gather with your loved ones? 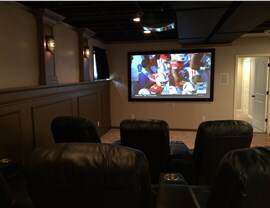 A basement home theater is not only a great way to watch movies, but it’s also a fun way to catch the game too! 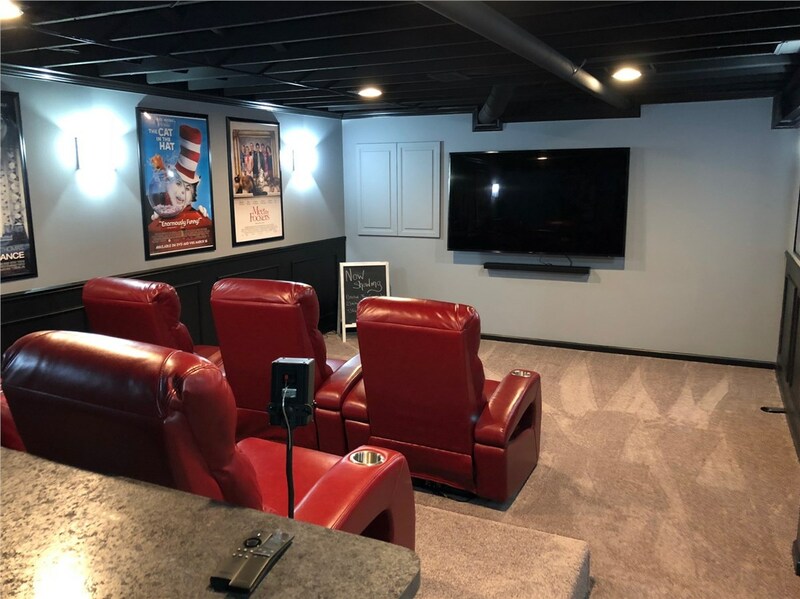 You’ll find there are tons of ways to use your new space, but only if you choose basement solutions from Matrix Basement Systems. 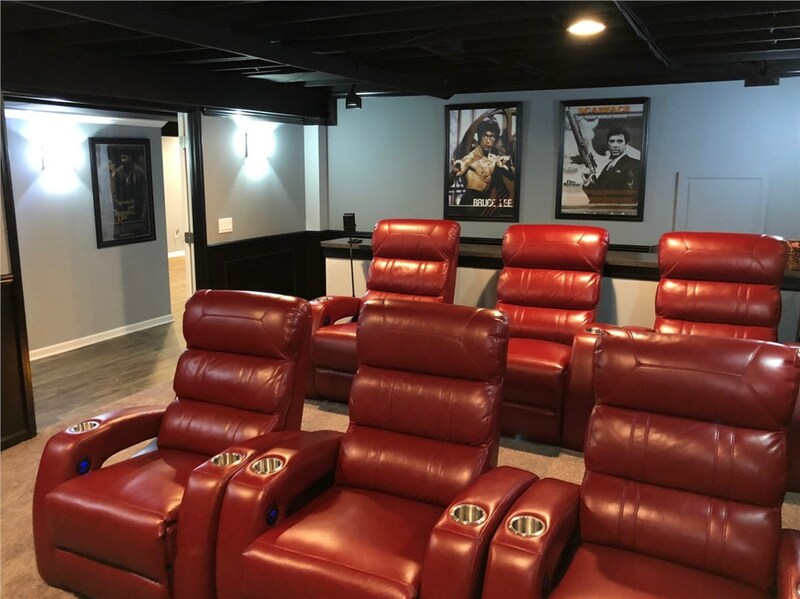 We have what it takes to make sure your basement is completely waterproof, preventing costly damage to the expensive electronics in your theater system. If you’re going to decide on a home theater installation, make sure that you get the high-quality experience you expect from your new space. 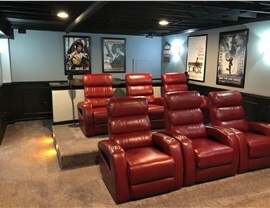 That means turning to the expert team of home theater installers at Matrix Basement Systems. Not only have we completed over 3,000 basement spaces, but we do it all by standing behind the quality of our services. With our state-of-the-art products and industry-leading designers and installers, we deliver the full-service, high-quality experience you deserve. 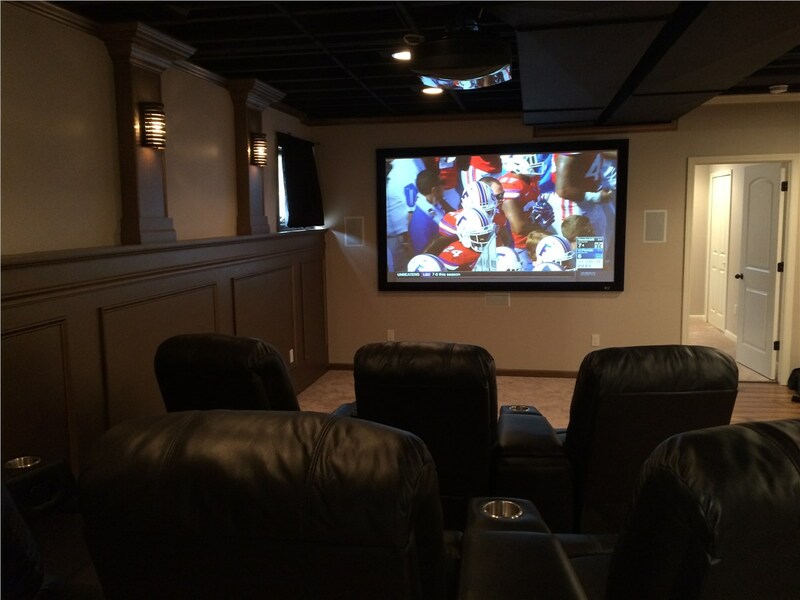 From start to finish, we are your home theater installation experts. What Is the Cost to Finish My Basement? The cost to finish a basement space is likely at the top of your mind. After all, we would all love a home theater system, but you’re likely worried about whether you have the budget for it. When it comes to basement finishing in Chicago, we know how to stretch a dollar. We happily work with budgets of all sizes, which means you can transform your basement space without breaking the bank. Contact us today to learn more about pricing or to schedule a personalized consultation in your home. We will offer you a free, comprehensive estimate before you commit to anything!